Social media is considered one of the major components of B2B marketing. For some reason most of the B2B companies have lagged behind B2Cs in the adoption and effective use of social media. It remains a surprise to see that a lot of the companies still underestimate this important marketing component. Social media marketing is more than adding Twitter and Facebook buttons to your website, but a planned comprehensive social media marketing strategy can boost your business better than any other marketing technique. 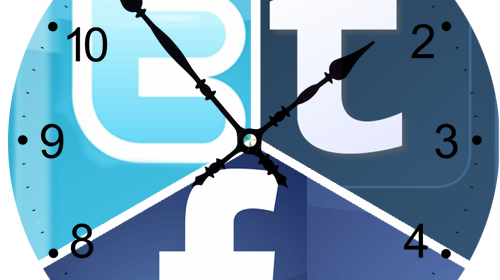 How Can B2Bs Benefit From Social Media? Social media marketing may not exactly be for converting leads into sales or to demonstrate the ROI per post. Rather, it focuses on how B2Bs can utilise the social media platform to inform the content it creates, and deliver content that is relevant to its market needs, and the latest trends. Also to utilise its own employees to boost its media exposure, and the way it is perceived by the market at a more personal level. Social media is an effective way to get your brand name out in front of people who are your potential target. Companies that are not using social media to popularize their brands are missing out on a valuable opportunity to connect with the mass. Social media strategies for B2Bs are slightly different from that for a B2C. Hence content sharing and interactions should be catered based on the targeted business industry you are serving. Search Engine Optimization is the best way you could drive more traffic to your website, but social media sure plays its role. SEO requirements always change and it needs more than regular update of blogs, optimizing title tags and meta-descriptions. Google and other search engines also take into account the social presence of a brand. The rankings are influenced by strong social media presence as most of the top brands use social media. A good brand identity in the social media will give your brand a legitimate and trustworthy face among the target, also bringing good traffic to your website. Social media help in better conversion of leads. It is mainly because of the humanisation effect. Brands are more humanized by social media interactions, which make other users to interact with the company and share their thoughts, suggestions, complaints and business proposals. Social media also has higher lead-to-close ratio than outbound marketing. A high number of social media followers improve your brand value and trust. Social media also has other benefits. Social media is a far cost effective marketing method. It also enriches customer experiences and insight. The Power of Social Media is evident from the recent news ‘How Elon Musk’s Tweet Made Panasonic $800 mn. Richer’. A simple tweet from the Tesla CEO has earned share values of Panasonic Corp to rise by 6.4% making it richer by $800 million and a subsequent loss of $580 million to rivals Samsung. Black and White aren’t that bad, but as Joseph Addison said, “Colors speak all languages.” Colors have a direct impact on the brain and our thought process. Colors depict personality, feelings, emotions, messages and influences our psychology. It is widely understood that colors affect human behavior and emotion. This can be used by businesses to create an advantageous edge. Colors are a major part of branding in any industry starting from Company logo, brochure, corporate colors, office designs and others. Though, there is a lot of scope of research on how color influences our mind, but a study found out that around 90% of the purchase decision is based on color alone. Different colors are known to trigger different emotions in us and hence, they are associated with different human attributes as well. Moreover, different cultures also have different connotations for colors. Experts feel that color can be associated with people’s perception temperature. Colors like red and yellow gives a warmer sensation, while colors like blue and green are known to be more ‘cooler’ shades. This helps designers to use these appropriately in interiors, apparels or even specific products. Colors evoke a person’s emotional quotient in different ways. Sally Augustin, Ph.D. and an environmental psychologist highlighted few basic facts on how colors can affect emotional and behavioral actions. For example, someone might dislike blue color, if he/she is reminded of some allergy medicines of his/her childhood. Similarly, a person might have an attachment or aversion to certain colors, which is related to their emotional self. RED: This is the color of power and force. Red stimulates our mind to work faster and reduces analytical thinking. It is also the color of warning. So, mostly you will see the warning signs in this color. BLUE: This is a more acceptable color and depicts serenity or smoothness. YELLOW: This is the color of purity. ORANGE: it is associated with healing and increases energy levels. It indicates good value, so brands use it to depict trust and support. PINK: It is mostly associated with care or babies, which helps to calm people down and give a feeling of happiness. GREEN: This is again related to acceptance and trust. Brands use this color to bring out concepts of growth and prosperity. WHITE: This is sometimes associated with boredom or sadness. However, both black and white have a wide variety of meanings in different cultures and races. These are just a few general connotations, which can vary over customs and religions too. Color psychology is a vast and yet to be fully explored. Once documented the findings will be of great insight for brands to enhance their look and feel. The eyes see the colors, the mind interprets them and the brain indicates the action. It is no longer about a single color, people are experimenting with different shades and hues to give brands- products and services, a whole new perspective. Colors are an integral part of our lives, and they strongly help to make or break market decisions.